The groundbreaking program, based at Camp Chingachgook on Lake George, is free and open to all ages. Sometimes even the smallest gestures can provide people with hope. My girlfriend’s grandfather, for example, has recently become wheelchair-bound. A former professional wrestler and door-to-door salesman, he was used to being on his feet and on the go. It’s been a difficult adjustment. So my girlfriend makes a point to call him every day just to say hey or wish him well. Regardless of how long the conversation is, it always brings a little light to his day. For those that are or have become disabled, life can be a daily struggle—and for some, that means a much more inactive and isolating lifestyle. But for others, it’s a way of testing their mettle—doing some real soul searching and seeing how they can press on. One way is through adaptive sports, which are the same as standard athletic activities except with modifications for people with disabilities. Y-Knot Sailing at the YMCA’s Camp Chingachgook is one of these fantastic programs. 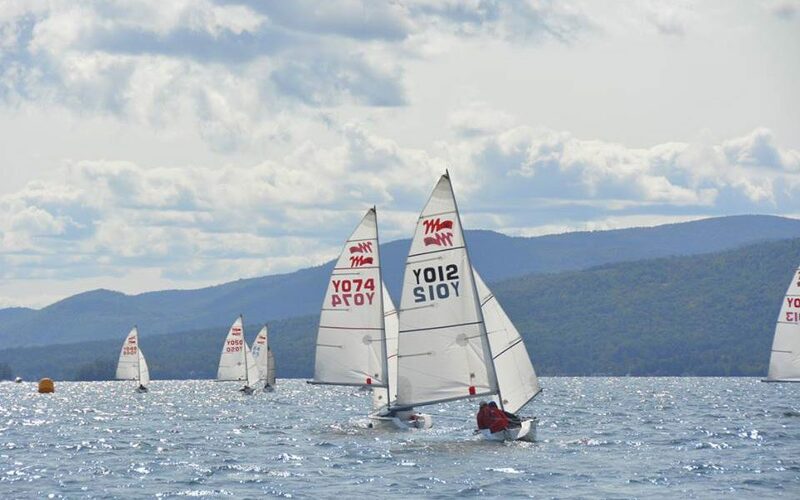 Located at Pilot Knob on the eastern shore of Lake George, Y-Knot was founded in 1996 in conjunction with Camp Chingachgook by a small group of sailors with disabilities and friends for the purpose of creating an accessible and free sailing program in the Saratoga/Lake George area. 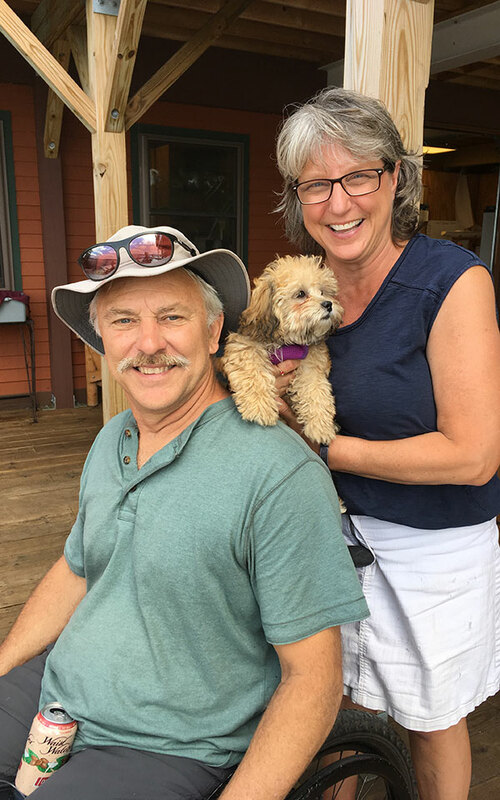 “It’s an awesome location and the program is even more awesome,” says Paul Moore, a retired construction supervisor who goes sailing with Y-Knot regularly during the summer. “The people that show up are similar to me—they’re starting a whole new life. And just to be there, being out on the water again is totally awesome,” he says. Like my girlfriend’s grandfather, Moore was accustomed to a life of physical activity until one day, about two-and-a-half years ago, when he had what he describes as a “freak accident.” Moore was clearing an old building lot that he was planning on putting a home on. He bent down and picked up a log and felt two sharp nerve pains shoot down the back of his legs. “Instantly, I said, ‘Oh my God, something’s gone wrong,’” Moore recalls. He went home and considered going to the hospital; however, within a few hours the pain had subsided, and Moore went back to work after just a couple of days. Two weeks after the incident, he was walking down the stairs when suddenly he lost feeling in his legs and sat down. Within 20 minutes he was paralyzed. Paul and Lori Moore on the adaptive sailing dock at Camp Chingachgook. Y-Knot Sailing’s goal has been exactly that: to provide enriching sailing opportunities for everyone, regardless of their physical condition, age, economic background or even experience with the sport (beginners are totally welcome, too). Sailors get to participate in everything from leisurely Sunday sailing, to an independent racing competition, the Y-Knot Regatta, which this year takes place September 8-9 and will feature sailing teams from across NY and from as far away as Boston and New York City. 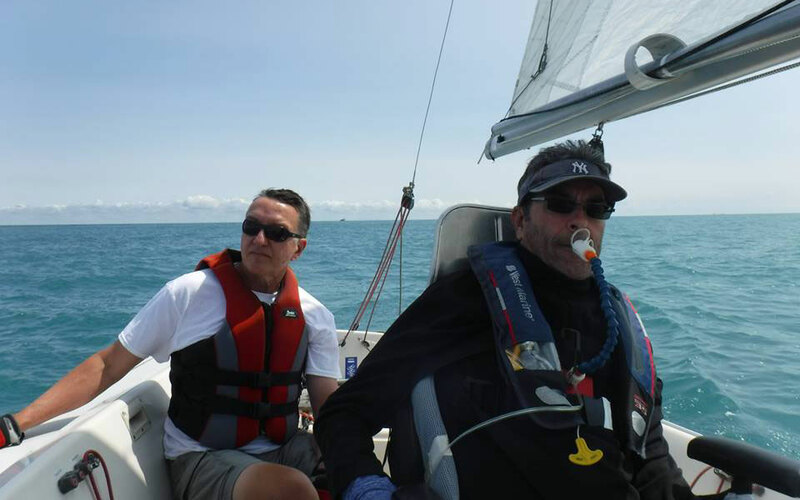 Quadriplegic people are even encouraged to participate, as Y-Knot has several boats with an automated helm (or “autohelm”) that can be controlled by either an electronic joystick or through a relatively new system known as “sip and puff” sailing technology (sometimes spelled “sip n’ puff”). Sip and puff sailing involves using two straws, installed at the helm of the boat, which come up to an individual’s mouth and help that person direct it. One straw controls the rudder and the other, the sail, and sipping and puffing on the two straws determines which direction to move them. In short, even people who have no upper-extremity function can enjoy the thrill of sailing (some sailors compete regularly using this method and have even won the annual Y-Knot Cup Regatta with it, among other competitions). Y-Knot’s fleet of adapted sailboats includes six Martin 16s (boats made specifically for adaptive sailing) as well as three Sonars, which are equipped with the sip and puff system (including one brand-new Sonar that was given to Y-Knot by the Clagett Boat Grant program). A YMCA camp program (that’s where the “Y” comes from), Y-Knot Sailing depends almost entirely on a dedicated core of volunteers for the program’s operations and fundraising. These volunteers come from all over the Upstate New York area and have varying degrees of experience in sailing; in fact, many learn how to sail from the very people with disabilities they initially helped. “I thought it was just taking folks out sailing, and I was completely blown away,” says Jiné Andreozzi, Summer Camp Director at Camp Chingachgook. 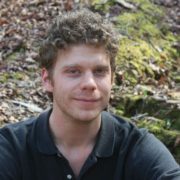 Andreozzi is also the staff liaison to Y-Knot’s volunteers. She’s been working at the camp for 15 years now (Summer Camp Director for four), and tells me: “When I first got involved, I thought we were just going to help [people] out of a wheelchair, and they were just going to sit there. And it was the exact opposite. I was sitting in the backseat, and I was learning a lot about sailing from folks who had been sailing much longer than I had. It was really cool to share this sport that we both love in a way that I wasn’t expecting.” In all, Y-Knot has more than 40 volunteers, 12 of whom form the program’s committee who have monthly discussions about sailing events at Camp Chingachgook as well as develop future plans for the program. Y-Knot has become so popular for both able-bodied volunteers and people with disabilities that its membership has grown to include sailors and enthusiasts throughout the northeast and even parts of Canada. Though it’s late in the season, there are still a couple of more sailing dates left this summer on August 19 and September 16 and, of course, during the 19th Annual Y-Knot Cup Regatta. So if you or someone you know has a disability, or you’re just in the market for a rewarding volunteer opportunity, check out Y-Knot.